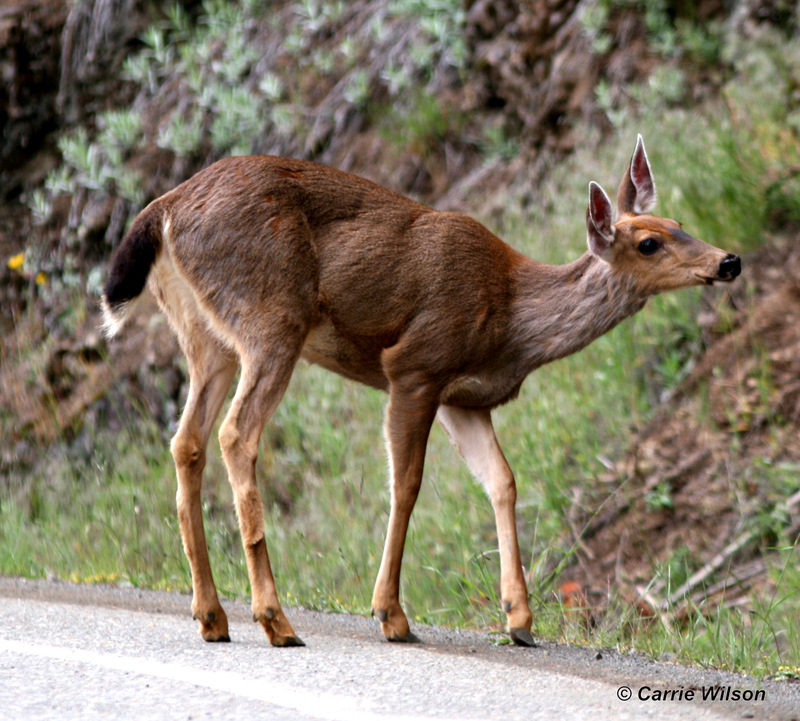 Harvest of Road-Killed Wild Game Meat? Question: I have a screwy immune system with 3-4 different diagnoses (depending on the doctor) as to what the problem may be. Going vegetarian makes it worse. I must have flesh food, but again, because of the immune issues, it has to be grassfed/pastured or wild game. Whatever farmers do to crowded animals turns my body into a torture chamber. Answer: I’m sorry to hear about your immune system issues, but in California we have no road kill harvest program available and are not considering such a program. This type of program would create many biological and law enforcement issues, as well as expose the California Department of Fish and Wildlife (CDFW) to liability. If you feel consumption of wild game may be your best solution, you should consider harvesting your own game and then you will ensure your meat will be fresh, contain no introduced chemicals and will be some of the freshest and healthiest meat available. To get started, consider taking one of our hunter education courses (www.dfg.ca.gov/huntered/) and then buy a hunting license. It is legal for a hunter to give you game meat he or she harvested too, but it is not legal to buy, barter, trade, etc. for it. There are also commercial sources of game meat available, such as from farm-raised deer and elk from Australia and New Zealand, and there may be others that offer farm-raised fallow deer from California. If hunting and harvesting your own protein is not for you, another option might be to consider shopping in local co-op stores and invest in free range, organic, grass fed beef if commercial meat is a health issue for you. Answer: Yes, this decoy would be legal to use. Answer: Thank you for your concern regarding potential impacts to black rockfish by shore anglers. Black perch, Embiotica jacksoni, is a member of the surfperch family and are definitely not black rockfish, Sebastes melanops. According to CDFW Environmental Scientist Ken Oda, black perch are commonly caught by anglers on jetties, piers and rocky shorelines. They are also taken occasionally by spear fishermen diving in and around kelp. Other species of surfperch often caught with black perch are striped seaperch, rubberlip seaperch and pile perch. San Francisco Bay area fishermen often refer to black perch as “pogies” and in other areas of the state, anglers call them “buttermouths” because their lips are often yellowish in color. In most areas, anglers may take up to 10 black surfperch as part of a surfperch aggregate limit of 20. But in San Francisco Bay and San Pablo Bay, up to five black surfperch may be taken as part of the aggregate limit of five surfperch (CCR Title 14, section 28.59(c)(1). When it comes to black rockfish, anglers may take no more than five as part of the daily bag and possession limit of 10 fish in combination of all species within the RCG Complex (rockfish, cabezon and greenlings) (CCR Title 14, section 28.55(b)). For a color photo identification guide of common surfperch that also contains diagnostic features of the black perch, please go to www.dfg.ca.gov/marine/fishid.asp. Another source of interesting information about black perch can be found on the Aquarium of the Pacific website at: www.aquariumofpacific.org/onlinelearningcenter/species/black_perch. This entry was posted in Deer Hunting, Hunting, Methods Of Take, Roadways, Saltwater Fishing, Turkey, Uncategorized, Upland Game and tagged ocean fishing, roadkill, turkey hunting, Turkeys, upland game hunting, wild game harvest. Bookmark the permalink.